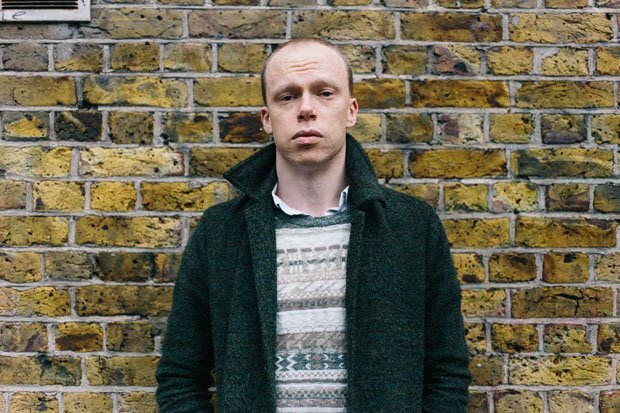 There are unlikely to be many comedy shows at this year's Fringe which have as unpredictable a trajectory from first minute to last than the latest innovative hour from Jordan Brookes. After an Edinburgh Comedy Award nomination last year for Body of Work, it seems inconceivable that his name won't appear on that shortlist again this time around. Kicking off with stage-managed awkwardness as he makes a mess of his entrance and has a tiff with the tech about his mic stand and cheek mic, Brookes reassures us that it's absolutely fine if we drift off from time to time ('don't worry if your head goes'): after all, 60 minutes is a long time to focus on any one thing these days. By the end of this hour, there's not a hope in hell that the crowd's attention will be anything other than gripped. Recalling Michael Clark's hairless Caliban in the movie of Prospero's Books, Brookes coils himself around and jolts about his stage in a fearless display of physicality that shape-shifts from ludicrous tomfoolery to raw menace. The trigger for Bleed is that his commitment to a joke from last year's show resulted in him splitting from his then girlfriend. Uncompromising may well be Brookes' middle name. His jocular teasing of one reviewer, the continuous passive-aggressive relationship with his crew, and his musing on Tommy Cooper's very public stage death are almost softening us up for the moment when he finally, literally, gets inside our heads. Thankfully, Brookes has the skill and guile to inject plenty laughs into his hour, but this seems to be the least of his concerns. If, as he insists over and over until the words disappear inside themselves, that he is indeed 'the riskiest comedian in the business', this Pleasance room becomes far from anyone's safe space. Pleasance Courtyard, until 26 Aug (not 14), 8.30pm, £10–£13 (£9–£12). More Emperor's New Clothes. I go to comedy clubs across the UK and I have never seen this guy EVER in a comedy club. How can you claim to be a comedian if you only play Edinburgh?